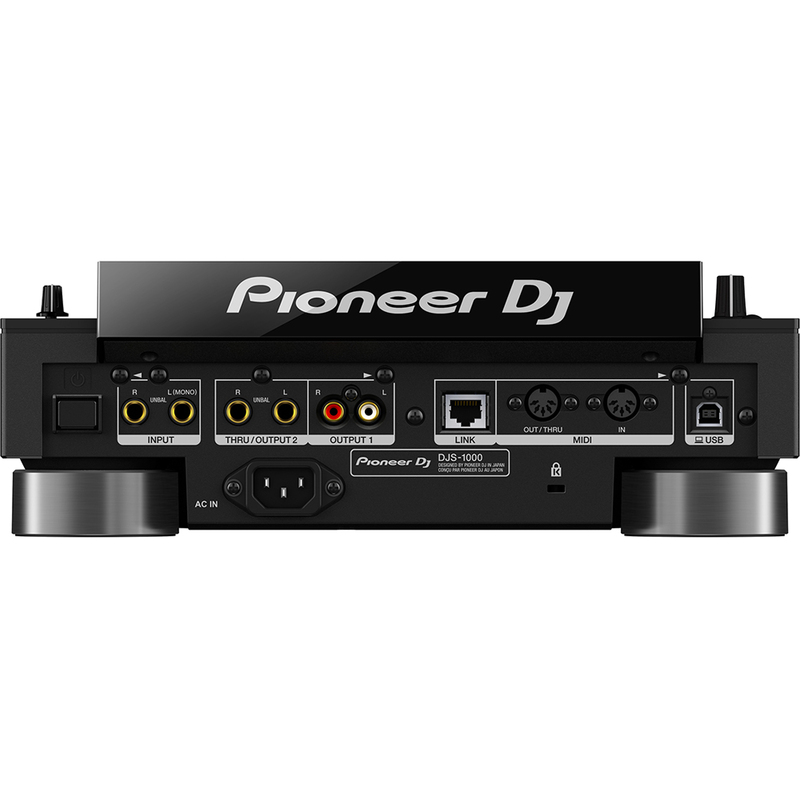 Add the Pioneer DJS-1000 to your DJ set-up to intuitively create unique sounds and phrases in advance of your set, or on the fly. Use the DJ-friendly interface to sequence and loop your samples as you wish. 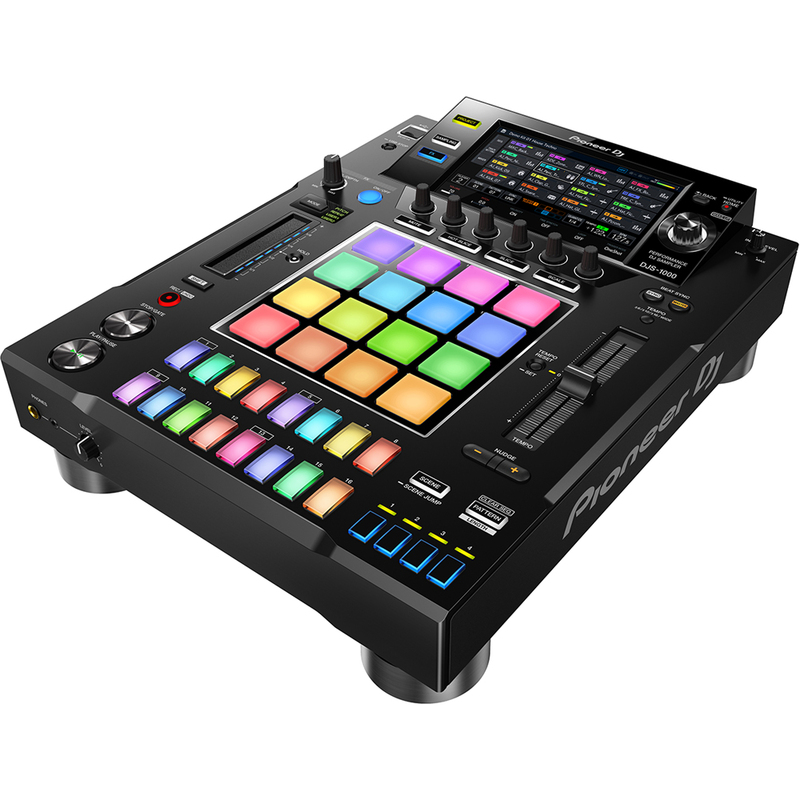 With a 7-inch full-colour touch screen, 16 multicoloured step input keys, multicoloured Performance Pads, a host of inputs and outputs, Live Sampling and various other performance features, having the DJS-1000 in the booth will propel your sets to the next level. Easily create a new groove by tapping the 16 large, multicolored step input keys. Thanks to the keys’ changing colours, you can keep an eye on sequence information on each track, at all times. Load up to 16 samples to the large rubber pads, then finger drum freely to layer sounds on-the-fly. The multicolour LEDs show what samples are in play, while Velocity Mode lets you control the sample volume with the amount of pressure you apply. Simply touch the strip to change the pitch while using the Pitch Bend feature, or play a drum roll by hitting the Note Repeat option. Customise parameters for even more creative possibilities. Tap the LCD display to instantly access one of three screens. The Home screen for an overview of assigned samples, the Sequence screen to view the currently playing sequence pattern and the Mixer screen to adjust each track’s volume. Sync up your DJS-1000 to a CDJ or XDJ set-up using Pro DJ Link. Thanks to the Beat Sync function, a tempo slider and a Nudge button, you’ll adjust tempo and beat position manually, just like you would on a turntable. Sample input sounds and instantly use them as individual tracks. Your sampled sounds are automatically synchronised with the current sequence. Play them in a loop and drop them straight into a live remix. Can anyone download and use the DJS-TSP Project Creator tool? - Yes. When will LINK EXPORT be available. - Approximately late January 2018. Can the DJS-1000 read a TORAIZ SP-16 project file? - Yes. What functions are missing from the DJS-1000 found on the TORAIZ SP-16? - Dave Smith instruments filter, Arrangement, SEND/MASTER FX and multi audio IN/OUT. Can you save projects and your own samples on the internal memory? - No. The internal memory is read only. Which company created the default sample sound and project files? - Loopmasters. What is the maximum length of an audio sample on a track? - 32 seconds. Can external synthesizers be controlled by the DJS-1000? - Yes. Via DIN-MIDI. 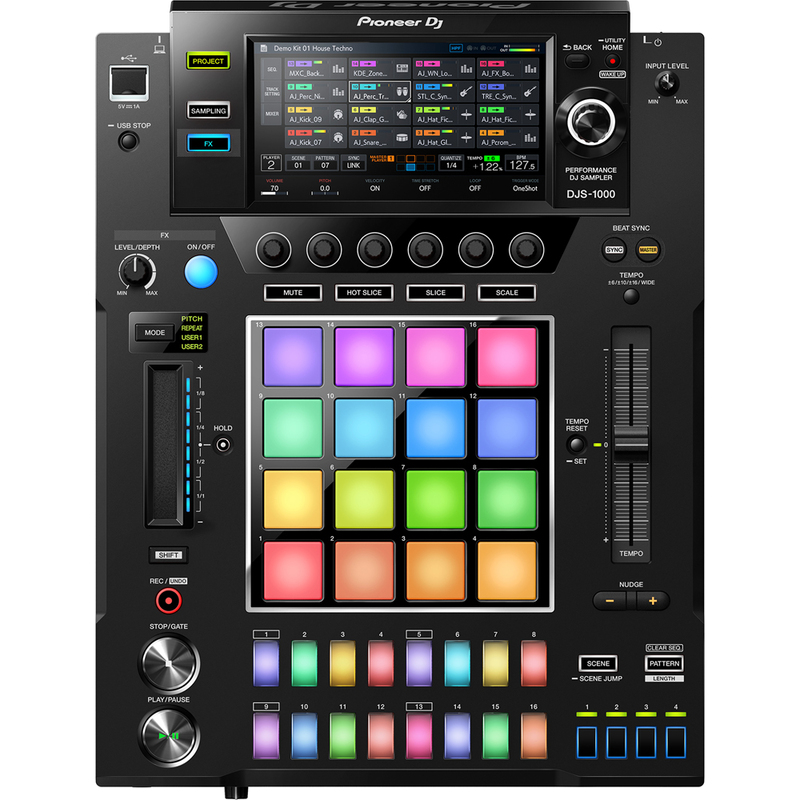 Can the DJS-1000 be used in conjunction with an RMX-500/1000, external FX hardware? - Yes. Via THRU on the DJS-1000.